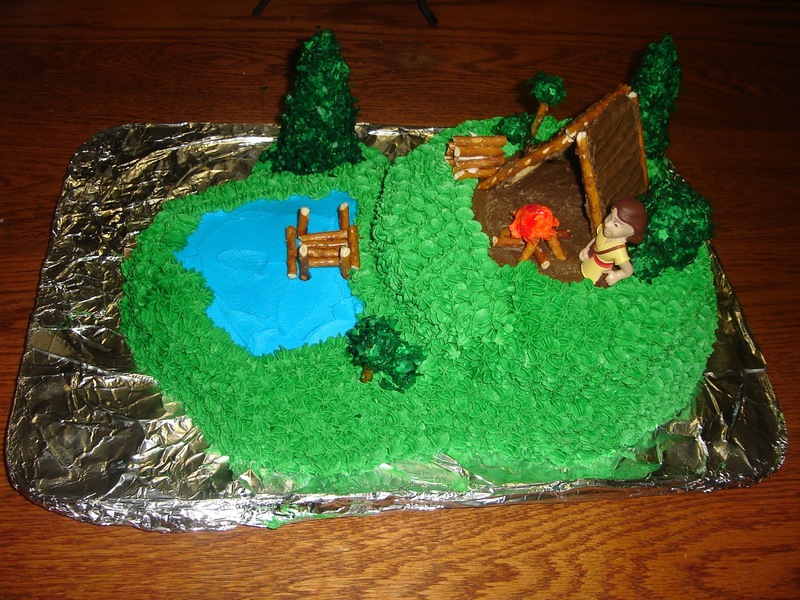 I'm not what you would call a top-notch cake decorator, but I have to say that I have fun designing cakes for birthdays and other occasions. For an amateur I don't think they're half bad. I apologize for some of the shoddy pictures. I'll try to be better about taking higher quality pictures in the future. This was a cake that I made for Lillian's first birthday. It's a pink castle that somehow looks a bit Russian to me. 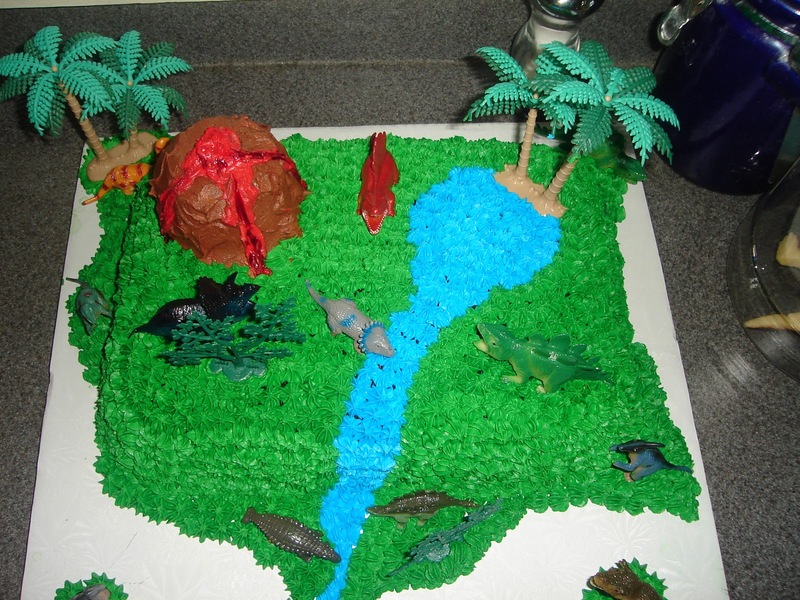 This cake was from Evan's fourth birthday. We had a camping theme and I have to say that it was probably our family's favorite. 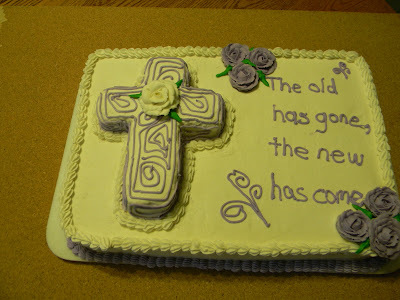 This cake was made for a friend of mine for their baptism. The picture leaves something to be desired, but you can see I learned how to make roses. 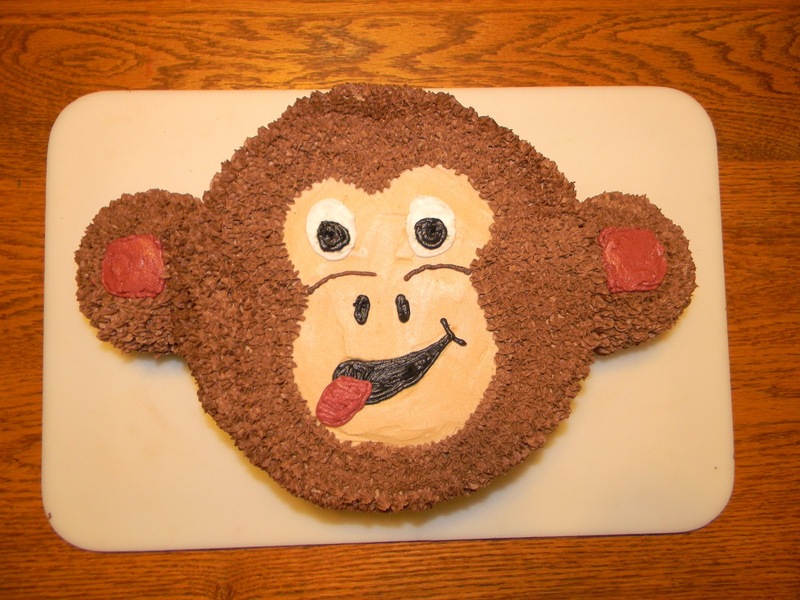 This monkey cake was for Evan and is one of my favorites. It was also one of the easiest ones I've done. 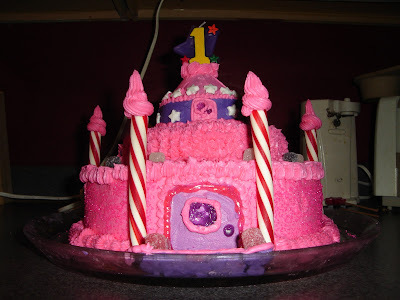 Lilli requested a purple princess cake so I thought this fit the bill. Too bad I didn't have a purple crown. 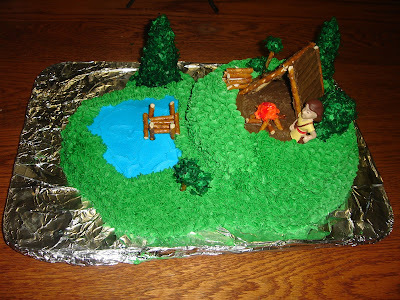 This is another of Evan's cakes. As you can see it was for a dinosaur-themed party. This cake was another one I did for a baptism. It was for the same family, different person. I liked the swirly purple cross, so I went for a swirly blue one this time.